Tom Anderson spent the second half of the season on loan at Doncaster Rovers and although it was interrupted by a serious facial injury, restricting him to just seven appearances, he did enough to persuade Darren Ferguson to sign him permanently on a two year contract. 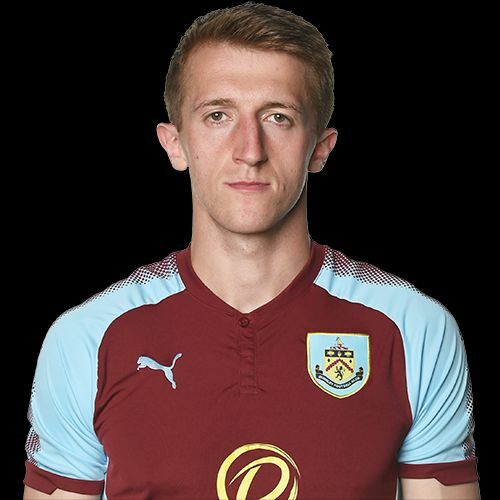 He’s been at Burnley for 17 years, joining the club as a seven-year-old, and progressed through the old centre of excellence teams to captain the youth team in the 2011/12 season when we reached the semi-final of the FA Youth Cup. Very much a Claret, Burnley born Tom missed out on the opportunity to captain the side in those semi-finals against Blackburn due to glandular fever but his progress continued and in the next season, after spending the first half of it on loan at Barrow, he made it onto the bench for a league game at Millwall. It wasn’t the only time he was on the bench but he furthered his education with more loans. Again it was non-league football at Hyde, Halifax and Lincoln before he joined Carlisle in the 2014/15 season. Two loans at Chesterfield, followed by last season at Port Vale and Doncaster, has seen Tom top 100 league appearances with 88 of them in the Football League. He’d just got settled it at Doncaster when he suffered a shocking facial injury at Rotherham in only his fifth appearance. He returned to Burnley for treatment before going back to Doncaster and getting into the team again for the final two games of the season. By then, Ferguson had already intimated that he wanted to keep Anderson and today, as the Premier League transfer window opened, Anderson signed for them on a two year contract. His contract at Burnley was at and end with the club not exercising the year’s option they had. Tom said today: “I’m really happy to get the deal done quickly. It means I can now relax with my future sorted and get ready for the start of pre-season. It’s important for any player, and with me being out of contract at Burnley I wanted to get it done. I didn’t want to be going away and worrying about what was going to happen. Anderson joins Doncaster on a permanent basis one year after they won promotion from League Two. They’ve had a steady season, finished 15th and have never been in any relegation danger. Up the Clarets wishes Tom the very best.